ven with natural fibres contending to take over traditional fibres as fillers in plastics, companies are still setting up facilities for the commonly used fibres. While Sabic has acquired a license to use carbon fibre technology from Italy-based Montefibre for its new plant in Saudi Arabia, Dow Chemical and Aksa are setting up a joint venture to manufacture and market carbon fibre and fibre composites. Sabic's plant will have a capacity of 3,000 tonnes/year of industrial carbon fibre for the Middle East and international markets. The project will also include the creation of a new carbon fibre product development centre and composite plastics application development capabilities at the Sabic Plastics Application Development Centre (SPADC), which is under construction at the Riyadh Techno Valley research complex at King Saud University. 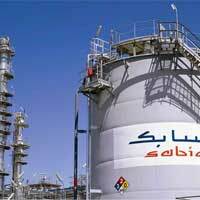 Sabic said it expects to create a world-class carbon composites value chain in Saudi Arabia. The two companies also signed an MOU to study the feasibility of integrating a new carbon fibre production plant in Spain with Montefibre's existing acrylic fibre production site. Montefibre is a supplier of man-made fibres and is one of the largest global suppliers of acrylic fibres. It has developed its own process for the production of the polyacrylanitrile (PAN) precursor and carbon fibres. Meanwhile, US company Dow Chemical and Turkey-based Aksa Aksa Akrilik Kimya Sanayii (Aksa) will jointly manufacture and globally commercialise carbon fibres and derivatives. Through this agreement, both companies will work together to explore opportunities to create fully-integrated production facilities for the manufacture and global supply of carbon fibres and derivatives. Aksa is the world's largest producer of acrylic fibres with a capacity of 380,000 tonnes/year and more than 13% market share globally. It has also been a carbon fibre producer since 2008. End-use markets for the fibres and derivatives include wind energy, transportation and infrastructure, where weight savings, durability and energy efficiency are key performance factors.